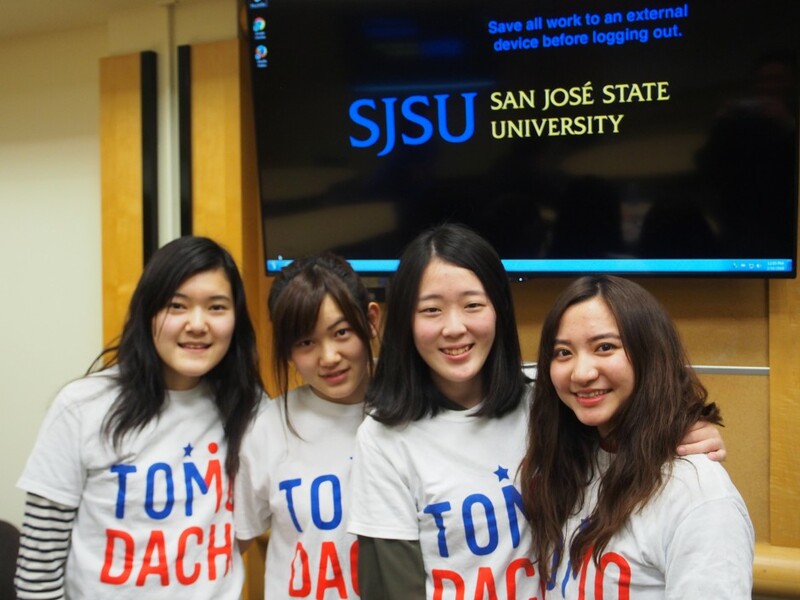 Three finalist teams from the 7th U.S. Embassy-Keio SFC-TOMODACHI Entrepreneurship Seminar that took place on November 23, 2017, attended a Silicon Valley Study Tour from February 14 – 21, 2018. Please read more about the final session, where the finalist teams were selected, here. Immediately upon arrival in America, the three teams attended an event called “Startup Grind Global Conference” and audited a multitude of sessions with various themes (such as team-building and Asia’s rapid growth). During the first half of the tour, the teams visited Stanford University’s “d.school” and attended an event called “Startup Fire” held at “42 Silicon Valley,” a college known for its free programming courses. At “d.school,” the teams explored the concept of design thinking, including how the concept was born and how it is currently utilized. Some teams applied their newly acquired knowledge of design thinking to their business plans, enhancing their plans significantly. The students were also able to interact with the many Stanford students on campus that day. During the tour, the teams also identified weaknesses in their business plans and made appointments to learn how to make improvements. Some of the meetings led to the introduction of other contacts, further expanding the participants’ networks. At the end of each day, the attendees allocated some time to reflect on and share their learnings, thereby deepening their learnings. On the second half of the tour, the teams took part in a presentation session at San Jose State University. Through discussions with attending students and professors, all the teams received plenty of feedback. There were even teams that utilized the advice and information from attendees to hold additional field surveys and hearings on a later date. The teams also visited Google’s Headquarters to interact with Google staff and were able to experience how different Silicon Valley is from Japan, especially in terms of the working environment and management style. On the final day, the students concluded their tour with a lecture by Mr. Devang Thakor on entrepreneurship, which became a great opportunity to process and organize all that they had learned over the previous 10 days. 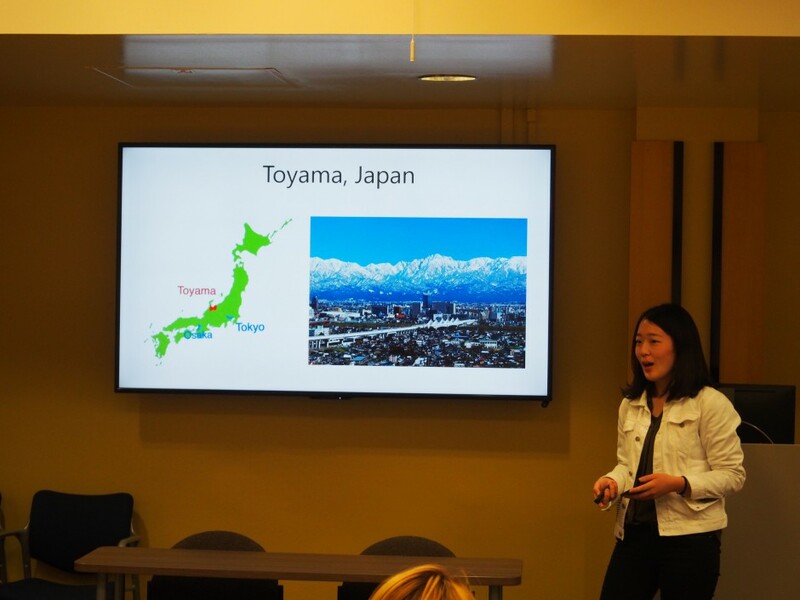 For the students from Kyushu and Toyama, this study tour was a unique opportunity to learn the value of having a global perspective as well as the importance of taking on challenges without fear of failure. The students that had lacked the assertiveness to take initiative before the tour came home more self-confident and with a better understanding of their strengths. The program ended with the students promising to utilize their learnings from the program and to continue working on their business plans.